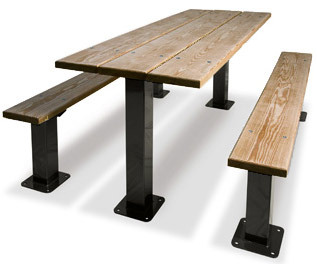 The Traditional Series offers high-quality, practical, and comfortable options for parks and recreational settings. 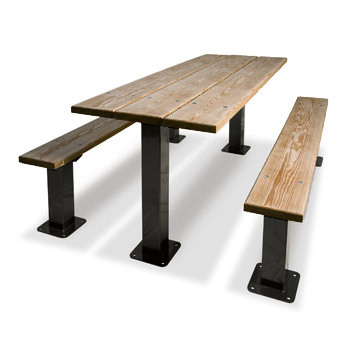 These outdoor multi-pedestal picnic tables have pressure treated planks for all-weather outdoor use. The inground or surface mounted frame is constructed of 4"x4" all MIG welded steel with walk through design.